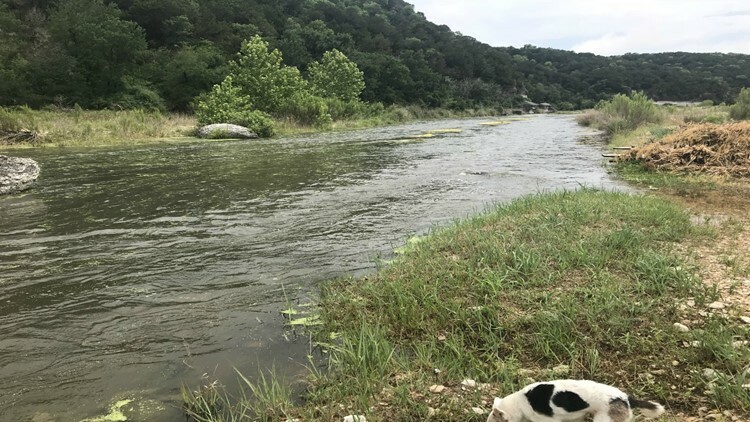 Concerns grow in Austin's northern suburbs after a state environmental report found that the city of Liberty Hill's regional wastewater treatment plant dumped sludge into the South Fork of the San Gabriel River. The city disputes the report. However, residents say they are seeing the effects down river in communities like Georgetown, Leander and Cedar Park. Along the South San Gabriel River in Georgetown is a backyard oasis. It was a place Frank and LaWann Tull once found peace. 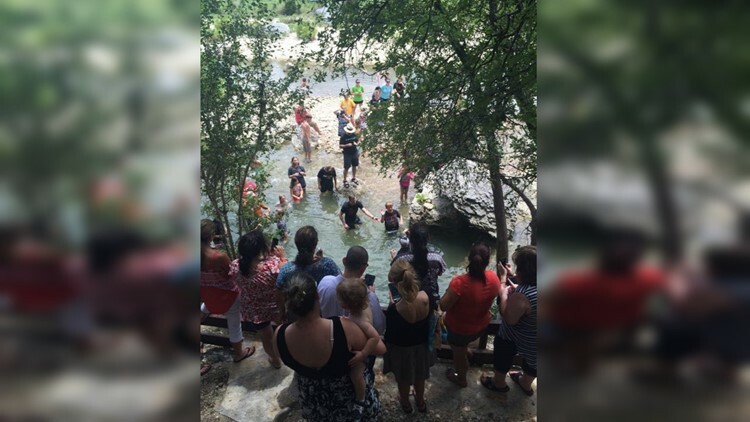 “Our grandchildren were baptized right there,” said LaWann. But their backyard now fills them with fear. “We won't be in the water,” she said. In April 2018, this once tranquil river turned into a carpet of slime. They captured the scene in video and pictures. “There were places where 80 to 90 percent of the water was covered and it was thick,” said LaWann. 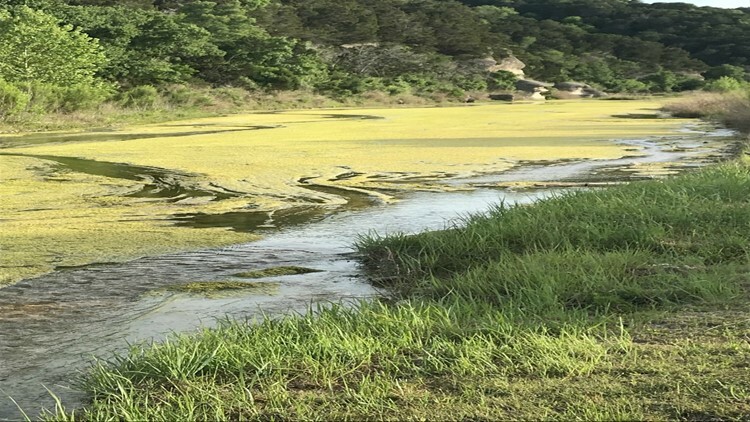 Residents complained and the Texas Commission on Environmental Quality investigated their claims. The 14-page TCEQ report cites the plant for six different violations -- including "unauthorized discharge of wastewater sludge" and failure to keep sewage from getting into the San Gabriel River. The city has asked for a retraction. The consulting firm called the report false at Monday night's Liberty Hill City Council meeting. Since 2017, the water treatment plant self-reported 53 violations, but touts its record on providing high quality water and super clean effluent. The plant does have permission from the TCEQ to dump 4 million gallons a day of "treated wastewater" into the river. When this story was reported, it was only discharging about a million gallons from a pipe just a few miles up river from the Tull's home. Where the treated wastewater enters the river is where the algae begins to grow. “It's a totally different river than it was last year,” said Frank Tull. Residents want answers and action. Both of which seem to be as slow moving as the river that once provided the perfect backyard escape. “They are killing the river and that is heartbreaking,” said LaWann. The Defenders reached out to the city and the TCEQ and no one wanted to talk on camera. The city and state are still discussing exactly what went into the river and how to address the issue. KVUE will let you know what happens. "The TCEQ has nothing further to add concerning Liberty Hill and the South San Gabriel River. The matter has been referred for enforcement and is currently under development."